An environmental whodunnit tracks illicit manufacture of banned CFCs to China, while a former Senate Finance staffer finds a flood of corporate money influencing National Institutes of Health research. The news deluge is so constant that sometimes important stories get buried before you have a chance to see 'em. Here are two we saw over the weekend that are worth your time this week. A troubling rise in a class of pollutants banned worldwide in the 1980s has flummoxed scientists. 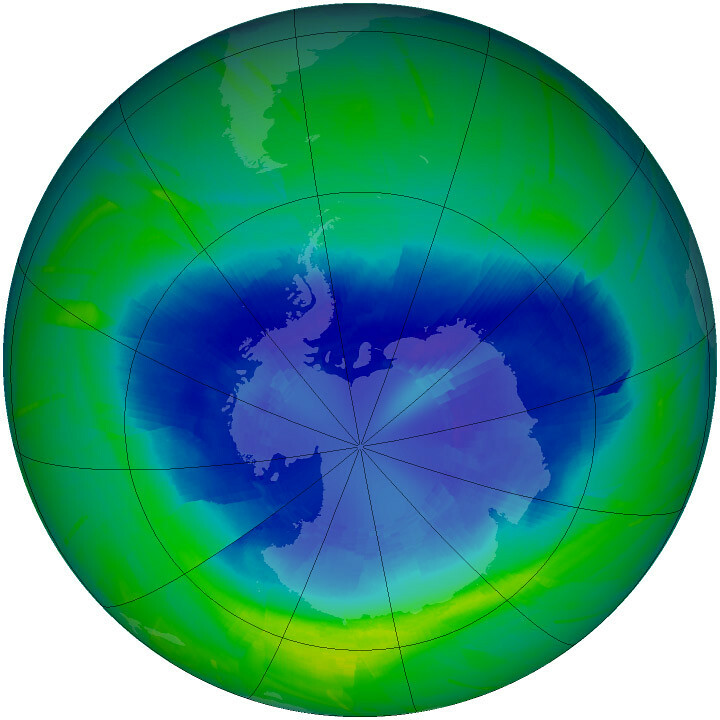 The compounds – CFCs – chewed a hole in the Earth's protective ozone layer. The ban that stopped the destruction – the Montreal Protocol – was so successful that scientists figured the hole would be repaired by mid-century. But someone, somewhere was manufacturing the industrial gases, specifically CFC-11. And the rise was so rapid and so big that scientists now say progress on closing the hole over Antarctica is now delayed by at least a decade. The New York Times, working with undercover sleuths at the watchdog group Environmental Investigation Agency, tracked those fugitive emissions down to a "scrappy, industrial boomtown" in rural China that produces foam for refrigerators and buildings. "You had a choice: Choose the cheaper foam agent that's not so good for the environment, or the expensive one that's better for the environment. ... Of course, we chose the cheaper foam agent." Many manufacturers, NYT reporters Henry Fountain and Chris Buckley report, had no idea the compound was banned. CFC-11 is readily available in China, they report, and even after a crackdown by local authorities, a robust market remains for the ingredient. CFC-11 is a potent greenhouse gas as well, and Avipsa Mahapatra, EIA's climate policy lead said in a press release that stopping the rogue CFC manufacture is equivalent to taking 400 coal plants offline by 2030. Our findings and other well placed sources in the Chinese chemical industry strongly suggest that this is a wider practice and could explain the majority of the rogue atmospheric emissions found in the study. This could undermine not just the slowly healing ozone but also the global efforts to battle climate change. The full story is a worthy, shocking read. This month the National Institutes of Health shut down a study on alcohol consumption funded mostly by beer and liquor companies. An ethical problem averted? Not quite. Writing in The Washington Post, Paul Thacker, a freelance writer and former staffer with the Senate Finance Committee, traces intellectual corruption much, much deeper at the agency that sets the bar for government research. "I spent 3 1/2 years as a Senate investigator studying conflict-of-interest problems at the NIH and the research universities it funds," he writes. "During that time, I found that the agency often ignored obvious conflicts. Even worse, its industry ties go back decades and are never really addressed unless the agency faces media scrutiny and demands from the public and Congress for change." Tobacco's influence in smoking studies is well known. But similar bias, Thacker notes, "has been found in research funded by pharmaceutical, chemical and pesticide companies." Coca-Cola, he adds, sought to fund scientists who would shift discussion away from sodas' role in obesity and instead blame lack of exercise. The bottom line is money. As Congressional funding for science declines, Thacker concludes, academics have been forced to collaborate with industry. Read the full story on The Washington Post.